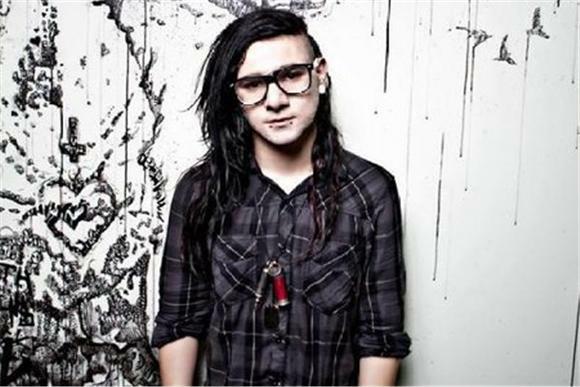 Rising dance music star and recent Beatport chart-topper Skrillex has one of the hottest tracks in dubstep with his already insanely bass-heavy track "Scary Monsters and Nice Sprites," and he's teamed with drum'n'bass/breakbeat titans Noisia to bring you an even more sonically demented, bass-heavy remix of the tune. Don't think its possible? Listen and download for free, courtesy of RCRD LBL, below. Can you say "overkill?" "Scary Monsters" is the title track of Skrillex's latest EP release, out now through Mau5trap records on Beatport and includes the Noisia remix. If Beatport's elevated prices ($2.49 a track, albeit in higher quality than an iTunes download or the free version below) are too much to bear, sit tight - the release is set to hit more traditional digital outlets soon. I unfortunately missed Skrillex at his recent Webster Hall gig, but if you can, catch him at one of the remaining dates on his first headlining tour.